Geoffrey Garrett is Dean, Reliance Professor of Management and Private Enterprise and Professor of Management at the Wharton School, and Professor of Political Science at the University of Pennsylvania. He became Dean of the Wharton School in 2014, having been a member of the Wharton faculty in the Management Department from 1995 to 1997. Prior to his return to Penn, Garrett was dean of the business schools at both the University of Sydney and UNSW in his native Australia. He served as President of the Pacific Council on International Policy in Los Angeles and Dean of the UCLA International Institute before his return to Australia in 2008. A highly cited international political economist, he has been a professor at Oxford, Stanford and Yale universities. Garrett is a Fellow of the Australian Academy of the Social Sciences, sits on the Advisory Boards of the Indian School of Business and the Tsinghua University School of Economics and Management, and is a winner of the Foreign Policy Association Medal and the Advance Global Australian Award. A well-respected commentator on global business, economics and politics in major media outlets, he writes a regular blog as a LinkedIn Influencer. Today it feels absolutely certain Don the Con, @realDonaldTrump did NOT graduate Wharton Business School. Lamefull! @kurteichenwald He didn't graduate from Wharton Business School, no matter what his resume says. Lol. @LikkleBally1 @FoxNews @KimDarroch @realDonaldTrump @TumiKay77 yes he did. BA in Economics 1968. 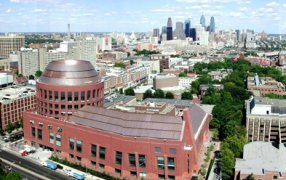 Wharton school of business @ Penn U. @jendaviswilson I was never more certain he didn't get in to Wharton business school on his own than I am right now.